The Newshub team have written a fantastic article on John Key's life and career, which details how John became the man he is today - including being the leader of this country for the last eight years! Have a read through the below. John Key has brought his political career to a sudden end, announcing that in a week he'll no longer be Prime Minister. The shock decision means the 55-year-old won't serve a fourth term. He has ruled out taking up any overseas postings, opting for a "quieter life" with his family. Here's how Mr Key got to where he is today. John Phillip Key was born on August 9, 1961. His father was an English war veteran, his mother Ruth an Austrian Jewish immigrant. He spent his early days in Auckland, where his parents ran a struggling restaurant in St Heliers. His parents split in 1969 and his father, a heavy drinker, died soon after moving out of the family home. The family - Mr Key, his two sisters and his mother - moved to Christchurch, where they lived in a state house. 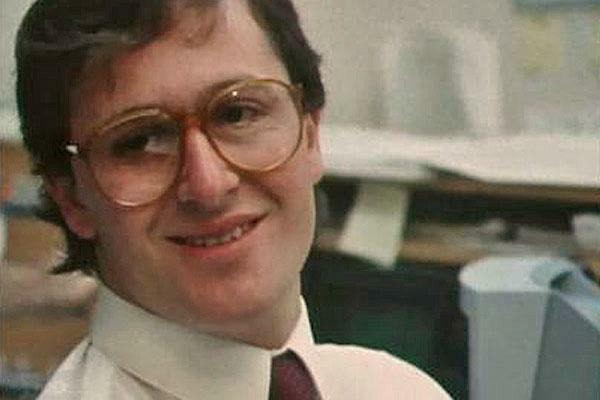 As young as eight, Mr Key had two ambitions - make $1 million and become Prime Minister. He would eventually do both. In his teens Mr Key admired National leader Robert Muldoon, and loved getting into political debates at the dinner table. This early passion makes it slightly puzzling why, years later when asked if he was for or against the Springbok Tour of 1981, he said "I can't even remember." At Burnside High, he "wasn't a world-beater" according to his economics teacher, but worked hard and shared the school economics prize in his final year. It was during his high school years he met Bronagh, whom he married in 1984. He studied at Canterbury University, where he earned a Bachelor of Commerce, with a focus on accounting. He reportedly started his first job the day after his final university exam, working for an accountancy firm. After the summer he worked for Canterbury, the clothing firm. In 1985, Mr Key was watching TV with Bronagh, and caught a show detailing a day in the life of a foreign exchange trader. "I said to Bronagh, 'I could do that,'" he told the New Zealand Herald in 2008. Putting the couple's OE on hold, he dived into the world of currency trading, where he quickly moved up the ranks. By the mid-1990s he was head of Asian foreign exchange at Merrill Lynch, where his affable personality but willingness to sack hundreds of staff at a time earned him the nickname "the smiling assassin". "I was sorry for people on a personal level,'' he later said. "We had a good team and no one likes going. And on a business level they don't make sense. I was asked to fire people in FX and in the derivatives business when it was counter-cyclical. It was really crazy." During this time he lived overseas, but by 2001 was feeling homesick. Mr Key quit his job in 2001, announcing it was time to achieve his second boyhood dream - becoming Prime Minister. In National's disastrous 2002 election he narrowly won the new seat of Helensville, and by 2004 was sitting on the Opposition's front bench as finance spokesman. In 2005 he almost became Minister of Finance, with National under Don Brash's leadership coming within a whisker of election. Dr Brash's resignation the following year paved the way for Mr Key to take over. His first general election as leader was a success, ending Helen Clark's nine-year reign and securing more than double the vote his future Finance Minister Bill English managed in 2002. Since then, no other politician has managed to topple him as the country's most-preferred Prime Minister. He increased National's share of the vote in 2011, and held it in 2014, a rarity for a third-term Government. Newshub's last political poll, held in August, showed National still riding high on 45 percent. Mr Key was way out in front as preferred Prime Minister, scoring 36.7 percent - Winston Peters came second on a distant 10.9 percent. As recently as January this year, Mr Key said he had no intention to step down before next year's general election, which is why his resignation has come as such a shock. "I've taken the knife to some other people, and now I've taken the knife to myself," he said. The smiling assassin, to the end.